Colon cleanse is a very popular way to detox your body at home. Before you do a colon cleanse, it is important to know the differences between the colon cleanse products and colon cleanse procedures. Colon cleanse products can work in a completely different way, and as such they may have different uses, benefits and side effects. 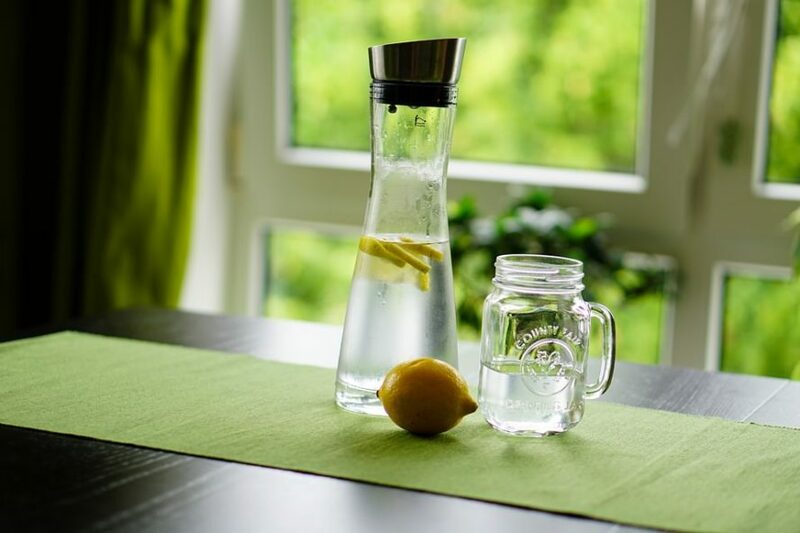 The overnight toxin flush colon cleanse home remedy (see recipe) is a great example of a natural colon cleanse detox drink that uses apple cider vinegar, lemon juice and oxygen, with safe effective instant colon cleanse benefits. It is the base of many natural colon cleanse drinks and recipes that are considered very safe and effective. Colon cleansing can backfire. Even natural colon cleanse. Some colon cleanse products contain harsh or aggressive ingredients that can irritate the colon, cause laxative dependency, electrolyte imbalances and other health issues. This is exactly what this expert guide is all about. Our experts cover all the facts you need to know before doing a colon cleanse including benefits, side effects, products, recipes and common critical mistakes to avoid. Overnight Toxins Flush. most popular colon cleanse recipe! What is a Colon Cleansing. Colon Cleansing & Weight Loss. Parasite, Liver & Candida Cleanse. Colon cleanse is not necessary, but may be very beneficial in certain situations when used correctly. Before doing a colon cleanse or any detoxification program, there is always one key question that needs to be asked – why doing it? isn’t our body capable of getting rid of toxins and waste by itself? The short answer is, yes, when the body is in an ideal state of health, it should be able to handle toxins and waste elimination naturally without any issues. Time for a quick reality check – how many people are in an ideal state of health? How many people eat an ideal diet? How about the environment we live in, our daily exposure to toxins, the ongoing stress at work, the quality of foods we eat, the air we breathe and many other factors? Are all these ideal? we all know the answers to these. This is where cleansing and detoxification can provide some benefits, although there are many potential risks and factors to consider which we will discuss next. Colon cleanse is a method that attempts to remove accumulated waste buildup from the colon and digestive tract by using natural ingredients, over the counter or prescription drugs, or by mechanical procedures such as colon hydrotherapy, colonic irrigation and others. The idea of colon cleansing isn’t new. It has been practiced for centuries since the days of the ancient Egyptians and Greeks. It all comes down to the basic idea that the food we eat can get stuck in the digestive tract and rot; over time this waste turns toxic and can lead to many digestion issues and other health problems. Cleansing your colon can help with this unhealthy situation by releasing the stored waste out of the body. This is exactly the concept behind all colon cleansing products, although the way they do it and the ingredients used to achieve the colon cleansing action may be completely different. This can greatly impact the colon cleanse benefits, effectiveness, safety and potential health risks. We’ll cover these next. Colon cleanse products may work in a completely different way to cleanse the colon. The way colon cleanse products work directly affect how you use them, their potential benefits and also safety. For this reason, do your research before choosing a colon cleanse product so you choose the best colon cleanse product for your individual needs, goals, current lifestyle and state of health. Click on each link for more details on how they work, their benefits vs. risks and side effects, or keep scrolling. The main concern with laxatives colon cleanse products is that over time they may lead to laxative dependency. This means that you won’t be able to make regular bowel movements without the use of laxatives. Unfortunately, it is a very common problem that many people have to deal with after overusing laxatives colon cleanse products. Another concern is loss of essential minerals and electrolyte imbalances due to strong diarrhea. Hyponatremia (low levels of sodium in the blood) is one common example. For these reasons, we do not recommend laxatives for colon cleansing, as in many cases the potential risks outweigh the benefits. Fiber colon cleanse products work by increasing the bulk of the stool, so that the bulkier stool can cleanse the colon as it passes through. Here is the problem: this increased bulk can also slow down digestion and cause constipation. Being constipated is the last thing you want during a cleanse, where the levels of the released toxins are expected to rise. This is a proven recipe for severe healing crises, die off symptoms and pure misery! In addition, many people experience allergies and sensitivities to the fiber materials used. In some cases these ingredients can even irritate the colon. It is much healthier and safer to get your daily recommended fiber from natural whole foods such as vegetables, fruits, nuts and seeds. These whole foods also come with so much more health benefits as well. Many of the negative fiber colon cleanse reviews are a result of one of these issues. Common fiber supplements may include: psyllium (Metamucil), methylcellulose (Citrucel), lignin, pectin and others. They typically come in capsules or powder form. Most herbal colon cleanse products contain herbs with a laxative effect that can force your body to make a bowel movement. This means that the concerns of laxatives also apply to herbal colon cleanse products as well: laxative dependency and electrolyte imbalances issues. In addition, some of these herbs may be even toxic to the body. In many cases, there is very little science and studies on their safety or effectiveness. The fact that they are natural doesn’t mean that they are safe. Based on our practice, we do not recommend using herbal products for the purpose of cleansing the colon. An oxygen colon cleanse (Oxy-Powder ®) as its name suggests, uses oxygen in the colon to detoxify and loosen toxins, undigested food particles and waste buildup so they can be flushed out naturally by the body. Oxygen colon cleansers work in a completely different way than fiber, herbal and laxatives colon cleansers and are the preferred choice of many health practitioners due to their efficiency, ease of use, and safety profile as well as the many benefits of the released oxygen in the digestive tract; Oxygen is one of nature’s most potent toxins cleansers and plays a key role in neutralizing and removing toxins from the body. This can be very beneficial in many type of cleansing and detoxification programs where the levels of released toxins are increased. Colon cleanse benefits may include better digestion, less gas or bloating and higher levels of energy. Many colon cleanse reviews specifically mention “feeling lighter”, especially if they previously suffered from occasional constipation. In our practice, we have a very long experience with the oxygen colon cleanse (Oxy-Powder), which is a part of many of our cleansing protocols. Most people who use Oxy-Powder feel a significant relief of their constipation issues very quickly after starting the oxygen colon cleanse. Common reports include a sense of “great relief”, increased energy, higher clarity, clearer complexion and significantly better bowel movements and digestion, with constipation, bloating, body odor, gas and other digestion problems greatly improved. These improvements are not surprising considering that the hard waste weight that accumulates in the colon can be 10-20 pounds and sometimes even more. Most popular colon cleanse recipe! Constipation or digestive issues such as gas, bloating. Prevent or minimize healing crisis during body cleanse. Colon cleanse weight loss topic has been an area of confusion with many misconceptions and critical mistakes made. The purpose of colon cleansing is to cleanse your colon from stored waste and toxins, and not to lose weight. Many people who followed our cleansing protocols noticed weight loss and reduced inches from their midsection during the initial oxygen colon cleanse. This, however, is due to the stored waste being flushed out of the body, and not due to fat loss. The colon is the primary organ in the body responsible for removing toxins from the body through normal bowel movements. 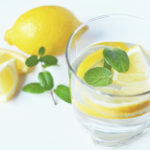 For this reason, making sure your colon is cleansed so it can quickly eliminate the released toxins is the most important step before starting any body cleanse program, especially body cleanses that trigger the release of toxins and pathogens such as parasite cleanse, candida cleanse and liver cleanse (commonly known as the liver flush or liver detox). This critical step is the main cause of the healing crises, die off symptoms and side effects so many people experience during the candida cleanse (70% according to this study); it just takes your body too much time to eliminate these toxins. Another reason to include colon cleansing as a part of any parasite cleanse, candida cleanse or liver cleanse has to do with “what happens after the cleanse”. Having your colon cleansed also means that there will be less waste and undigested food particles that can feed parasites, candida and other harmful organisms; a very important benefit that can enhance the results of these types of body cleanses. Cleansing the colon may be a great opportunity to also clean your diet and transitioning to a diet that your body agrees with. Most people do very well on a lighter diet with fresh fruits, vegetables and easy to digest foods during the cleanse. If you have candida issues, medium protein-fat and low sugar diet work very well for most people. During this time, you may want to pay close attention to potential food allergies and your reaction to different foods. Make sure not to eat problematic foods such as dairy, wheat, gluten, processed foods and common allergens, as these are known to cause issues to many people, especially bloating, gas and other digestion issues. A list of all these problematic foods and healthier alternatives are covered in our candida diet lesson. Can colon cleansing help with constipation? Constipation is one of the most common bowel problems in the western world, impacting 63 million Americans. Doing a colon or bowel cleanse may help relieve occasional constipation, although it is very important to find out what exactly is causing your constipation to begin with, as the needed treatment may be completely different.